Established in 1907, nestled along the banks of the South Saskatchewan River, our historic campus is recognized as one of the most beautiful in Canada. Where to eat on campus, meal plans and catering. Dental Clinics and Veterinary Medical Centre. Physical Activity Complex, Fit Centre, Campus Recreation and community programs including kid's camps, aquatics and dance. The library provides year-round and around-the-clock access to an extensive electronic collection. There are seven campus locations. 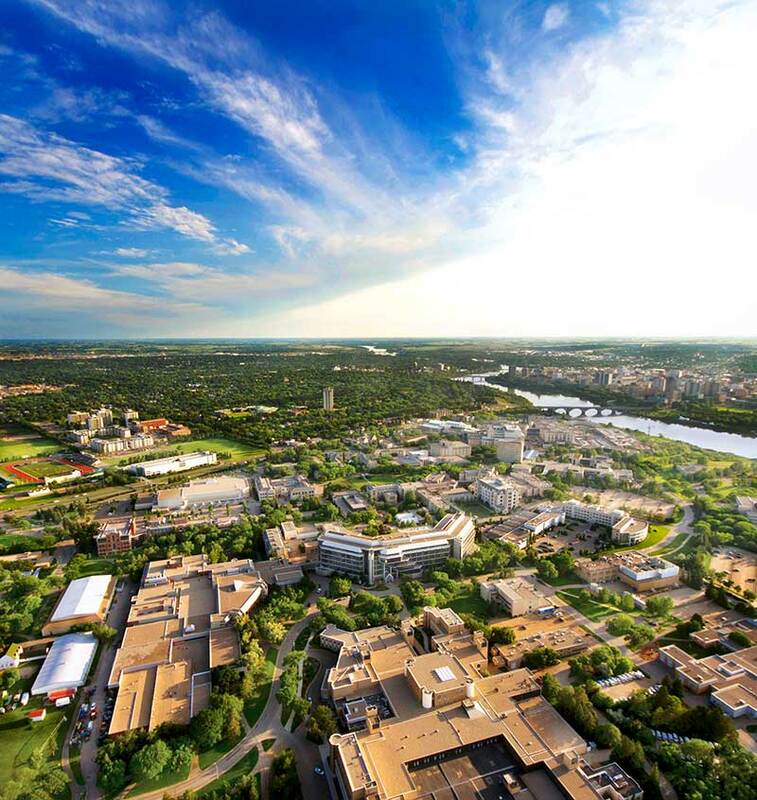 The University of Saskatchewan is committed to furthering internationalization efforts, and offers a number of international services and resources on campus. Whether it is a Friday night lights football game, our championship-winning basketball team or one of our many other Huskie athletic teams, catch a home game on campus and share the pride! A prime ministerial museum archiving Canada's 13th prime minister, the Rt. Hon. John G. Diefenbaker and hosting exhibits that interpret the Canadian experience. Provides space for graduating exhibitions, student group shows, individual student projects, and special exhibitions including artists, curators, educators and partnering arts organizations within the wider professional community. Home of the permanent collection of the U of S. In addition, the gallery organizes or brings in exhibitions which are local, national or international in scope. A collection of ancient Greek, Roman, Egyptian and Near Eastern sculpture in full scale replica. Admission is free and public tours can be arranged. This museum is designed to outline evolution throughout geological time, providing an integrated learning environment, with displays of living plants, animals and fossils. Located on the second floor of St. Thomas More College. Monthly exhibitions of local and regional artists are held between September and April. Located in the heart of the campus, The Bowl is the university's social focal point. Home to the university's Huskie football program. The stadium has full concession, capacity for 4,600 and features a 400 m, eight lane athletics track, an ideal host for a number of track and field events. The Greystone Theatre presents four mainstage plays a year: large-cast plays, plays from the classic repertory, cutting-edge new plays. It is the oldest theatre in the province, started in 1946 in the first drama department in Canada and the Commonwealth. The "Little Stone School House" or Victoria School House was originally built in 1888. It is pleasantly situated in a quiet spot on the University of Saskatchewan grounds, just off College Drive. The PAC features a 13,500 sq ft fitness centre, a triple gymnasium and a 40-foot rock climbing wall. Complementing the facilities, are program offerings in aquatics, dance, fitness and special needs. The campus observatory provides the public with weekly viewings of our night sky every Saturday night. Admission is free. The Beamish Conservatory (atrium) is named in honour of the donor May Beamish daughter of artist Augustus Kenderdine. The atrium is located in the Agriculture Building. 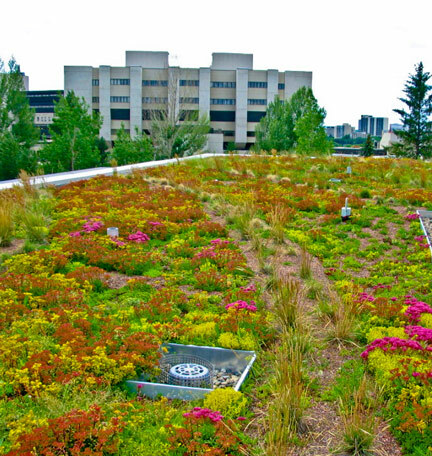 Facilities Management partnered with the Department of Geography to develop living roof test plots. These plots tested the feasibility of employing this technology here at the University of Saskatchewan, and specifically in the extreme climate conditions of our region. The Nobel Plaza is an intimate space within the university's central student gathering space, named for the two people from the university to win Nobel prizes. It features interlocking brick, a speaker's wall with a podium and two low side walls to sit on or lean against. The Sculpture Garden is between the Education Building and the Diefenbaker Canada Centre.